More than 100,000 Canadians suffer from Parkinson’s. Learn how at home senior care can help your loved one manage their symptoms at home. April is Parkinson's Awareness Month. During this time of the year, we strive to help seniors and their family members raise awareness about this disease. Parkinson’s is a neurodegenerative disease. Unfortunately, it is also a progressive disease, so after some time affected individuals will no longer be able to perform simple, everyday tasks without assistance. 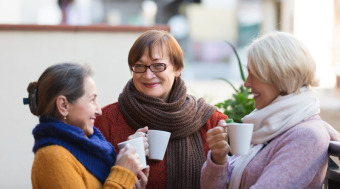 Many families choose to serve as their loved one’s caregiver, but as the disease progresses, they will eventually need an advanced level of care that family caregivers may not be equipped to provide. If your senior loved one has been diagnosed with Parkinson’s disease, you can count on Senior Homecare by Angels. We offer at home senior care services specifically designed for those who suffer from Parkinson’s. Our care services will help your loved one stay at their home and maintain a happy life, giving you peace of mind knowing your loved one is getting the care they need. 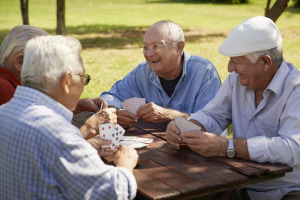 Parkinson’s disease will, unfortunately, lead to a number of complications in your loved one’s life – inability to perform simple everyday tasks and activities, increased risk of falling and getting injured and other issues. That’s why Senior Homecare by Angels offers personalized Parkinson’s care plans that will allow your senior loved one to live safely and comfortably in their home while keeping the disease under control. Parkinson’s disease is a progressive condition, so over time, your loved one’s needs will change. That’s why our at home senior care plans can be adjusted and modified at any time in order to ensure the best care for your loved one. 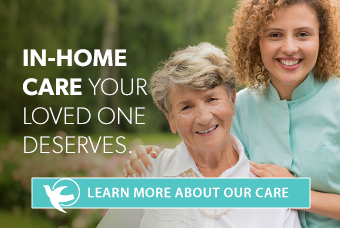 If you’re looking for a professional home care agency to help your loved one maintain their quality of life after being diagnosed with Parkinson’s, Senior Homecare by Angels is here to help. Contact your nearest agency to learn more about our services for seniors with Parkinson’s.